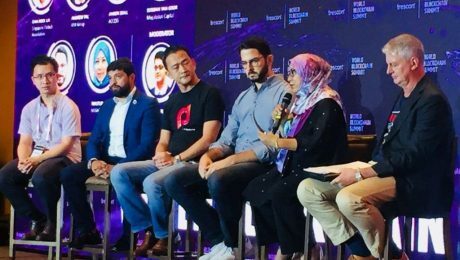 MIGHT joined the World Blockchain Summit in Singapore held on 19th – 20th July through the participation of Ms Mastura Ishak as one of the panelist discussing the legal and regulatory landscape in Asia. The event is part of World Blockchain Series that taps into interest of industry. 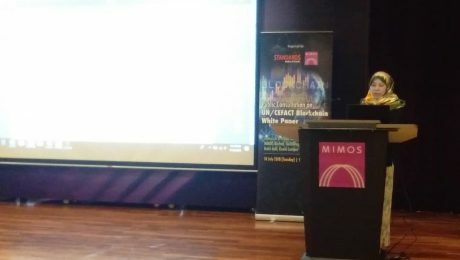 The public consultation on UN/CEFACT blockchain is being held as part of Malaysia’s initiative to be a key contributor in the global standardisation initiative for trade facilitation and supply chain automation under the purview of Technical Committee T/C/G 15, the Malaysian National Mirror Committee for TC 307, the ISO Committee for Blockchain and Distributed Ledger Technology (DLT). Currently, there are 35 countries are on the list of active participants on the TC 307 committee, while another 15 countries attend as Observer Countries. The number of participation countries continue to grow is evidence of high interest in blockchain technology for economy growth. Mr Ng Kang Siong of MIMOS, and the head of Malaysian delegation to the previous TC 307 meetings, shared the updates on the work done under the committee with the audience. The main objective for the UN/CEFACT effort is to facilitate blockchain technology adoption in the relevant aspects, including for trade purposes, as well as safety and security. 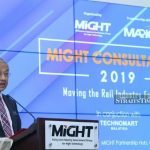 Government-led initiatives will provide better ecosystem for Malaysia’s competitiveness through readiness to connect to the global standards. The representative from MITI shared Malaysia’s efforts on trade and business facilitation especially on trade across border and e-commerce. 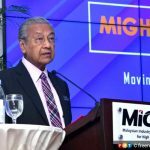 Trading across border is being highlight as the area to be improve for Malaysia’s competitiveness in doing business, paying particular consideration to time and cost of doing import-export. Malaysia will continue to strengthen collaboration, infrastructure, and facilities. 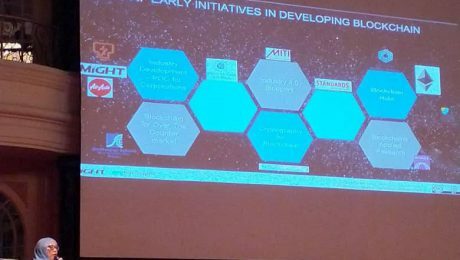 As mentioned by Mr. Fattah Yatim, Chairman of T/C/G 15 in his speech, blockchain is the technology that hold potential in transforming next economy, quoting Klaus Schwab’s, “In the new world, it is not the big fish which eats the small fish, it’s the fast fish which eats the slow fish”. Integration with other technologies, e.g. IoT, is where global standard become important. This concept paper focuses on building the overarching framework to manage trade facilitation data with the help of blockchain technology, however, the implementation of blockchain itself will not be address. It also recognises related technologies such as shared platform based with API’s enabling integration, extensibility, interoperability and functionality of Internet of Things (IoTs). The MDEC Digital Free Trade Zone (DFTZ) team opined that the guiding principles underpinning the development of technical application of blockchain in the UN/CEFACT proposal is in line with the targeted development under DFTZ for trade facilitation. In the public feedback session, Ms. Mastura Ishak, Programme Director of Blockchain MIGHT facilitated the technical discussion and amendment of the draft white paper to be summitted to the UN/CEFACT. In conclusion, collaborative effort between government, industry and public are needed to expedite the adoption of blockchain technology to benefit the country, particularly the industries. The UN/CEFACT Blockchain White Paper serves as the early platform in understanding the general requirements for global adoption. Whilst the expected framework developed at this level would lean towards voluntary adoption, at individual country’s level, further discussions will be needed to transform it into working mandatory requirements that would enable monitoring by the instituting entities. 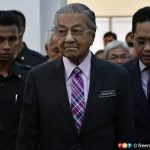 During the forum organised by University of Malaya under its Faculty of Law together with University of Malaya Malaysian Centre of Regulatory Studies (UMCORS),the Malaysian Block the chain Regulatory Report was launched followed by two panel sessions to expand on the main focus of the report, i.e. issues related the Initial Coin Offering (ICO) and on the Personal Data Protection Act (PDPA) in the context of recently enforced EU’s General Data Protection Regulation(GDPR) from the perspective of Blockchain. Unintended consequences of the “The Right to be Forgotten” due to its immutable features. The need for policymakers to understand deeper on the technical aspect of blockchain. This would improve how the policy can cater wide ranges of blockchain application.